This article first appeared in The Edge Financial Daily, on March 14, 2018. An artist impression of a light rail transit line 3 station. The contract value has boosted the group’s outstanding order book to an all-time high of RM9.7 billion, IJM said in a statement yesterday. KUALA LUMPUR: IJM Corp Bhd has been awarded a RM1.12 billion underground package job for the light rail transit line 3 (LRT3) project, the group’s first construction contract win for 2018. The contract value has boosted the group’s outstanding order book to an all-time high of RM9.7 billion, IJM said in a statement yesterday. The contract requires IJM to deliver the design, construction and completion of the twin-bored tunnels, a station, ancillary buildings and other associated works. “The contract requires the use of tunnel boring machines to excavate the 2.1km underground tunnels with an outer diameter of 6.35m, confirming IJM’s expertise in large-scale underground tunnelling and strategic complex infrastructure projects,” the group said. The job, awarded by Prasarana Malaysia Bhd to IJM’s wholly-owned unit IJM Construction Sdn Bhd, is scheduled to commence this month, with a construction period of 31 months. “We are proud to be bringing our tunnelling expertise to the construction of the tunnel section for LRT3 — an undertaking that further demonstrates our ability to carry out technically complex and large-scale urban infrastructure projects,” IJM chief executive officer and managing director Datuk Soam Heng Choon said in the statement. “IJM has a solid reputation of delivering high standards of quality and performance in project management, design and construction. 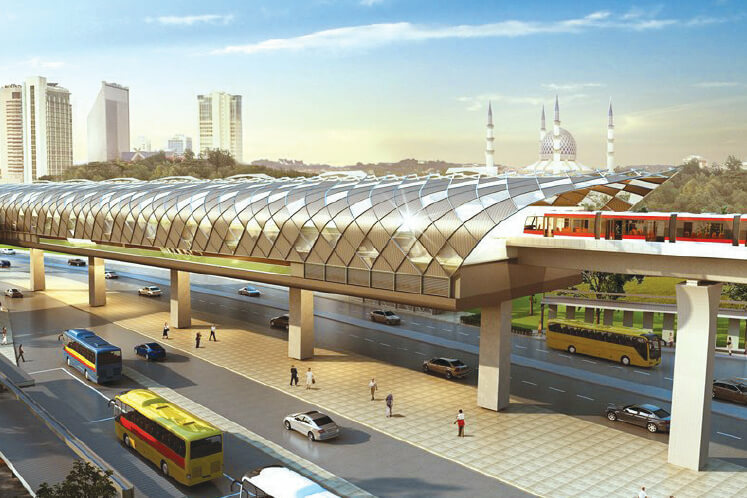 This project is a continuation of our involvement in major rail transportation networks in the Klang Valley, encompassing infrastructures for LRT, KTM, mass rail transit and monorail projects,” Soam added. Specifically, in railway-related and elevated viaduct projects, IJM brings vast expertise and experience in undertaking and completing numerous projects locally and internationally. In urban rail, IJM is currently undertaking the Klang Valley mass rail transit (KVMRT) 2 project for Package V203 viaducts from Jinjang to Jalan Ipoh North Portal and four stations on Package S203. In 2017, IJM successfully completed a 5.5km elevated viaduct and four stations in Cheras for the KVMRT. IJM has also completed works for the LRT1 and LRT2 projects in Kuala Lumpur. LRT3 connects Bandar Utama in Petaling Jaya with Klang via Shah Alam. IJM said its LRT3 contract is expected to contribute positively to the group’s earnings from the financial year ending 31 March 2019. The group said the risks for materials affecting the project include price fluctuations for materials and the availability of skilled manpower. “However, drawing upon the experiences and know-how of the project team of IJM in undertaking construction projects, these risks could be mitigated,” it said in a filing with the stock exchange. IJM’s share price rose eight sen or 2.99% to RM2.76 yesterday, with a market capitalisation of RM10 billion.